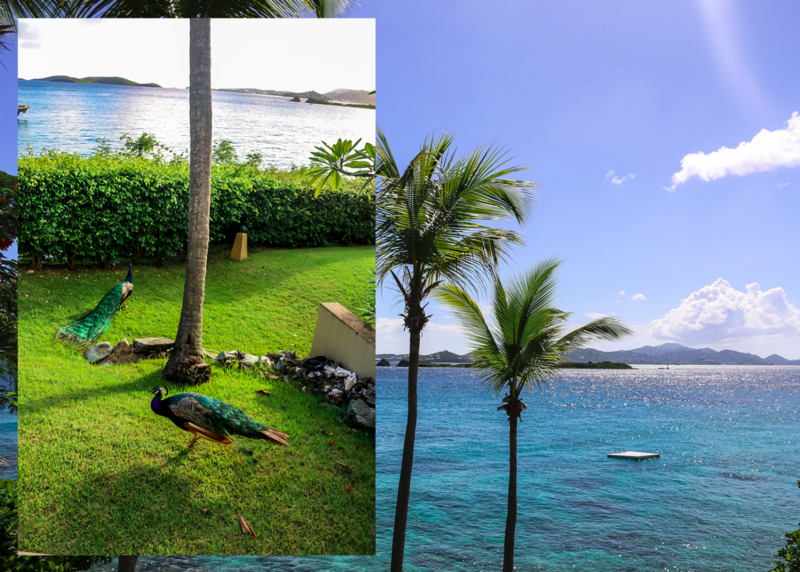 Our trip to the US and British Virgin Islands in July 2017 was a trip that definitely took some strategic planning and days of research. 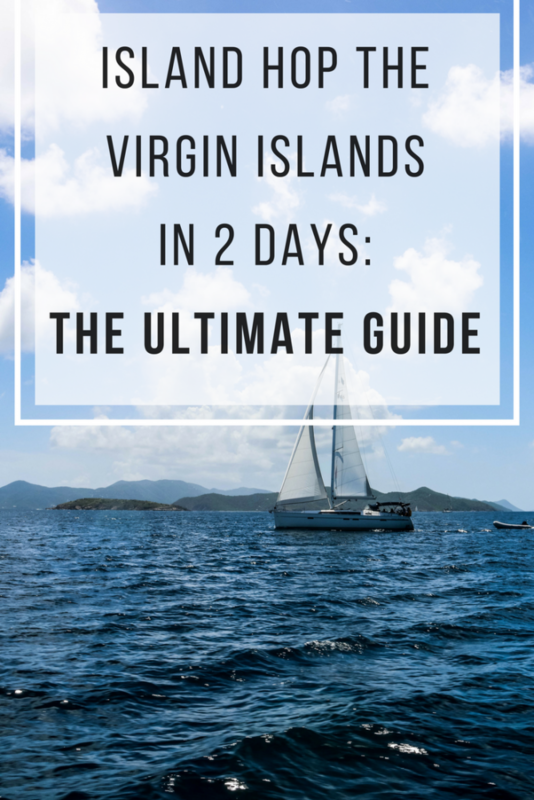 The islands and ferry system can be a bit confusing which is why I thought it would be useful to share my ultimate itinerary and guide on how to island hop the Virgin Islands in 2 days. 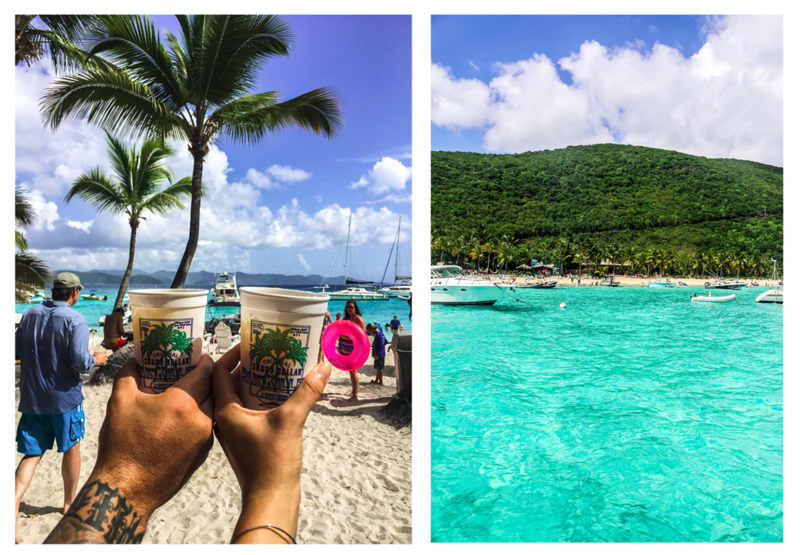 Important Note: I suggest spending at least 5-7 days to really enjoy all of the islands, but if you like to fit a lot of adventure into a couple of days, then this is for you. Okay, let me save you a ton of time and research. The ferry system is frankly too unreliable and slow if you are trying to cover a lot of ground, and the group tours are limiting, loud, and not ideal. Additionally, it is actually more expensive to take a ferry everywhere, rather than charter a boat for a day. 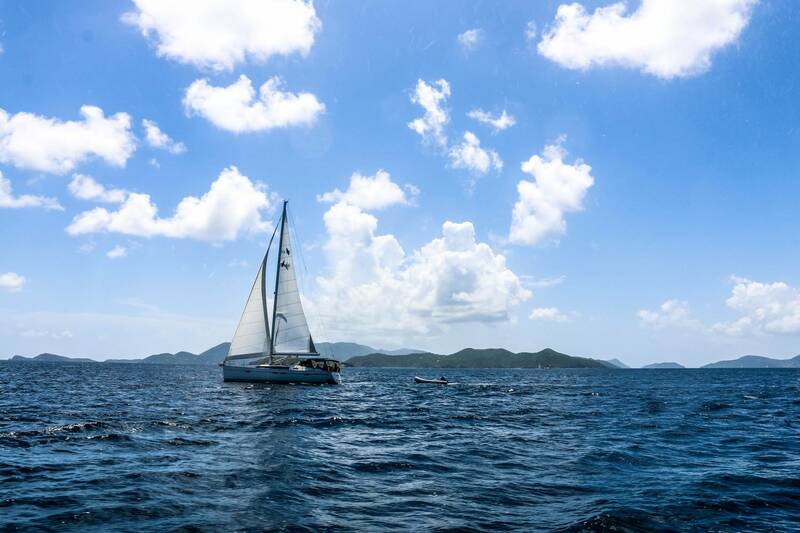 I suggest chartering a motor boat, not sail boat, and captain to show you the islands for the ultimate experience. You can customize your itinerary and spend as much or as little time as you want on each island. Plus, the captain handles all of the immigration paperwork so you can just relax and enjoy the sunshine. Once you land in St. Thomas, you take a cab to the ferry which takes you to St. John. I recommend staying at Gallows Point Resort. 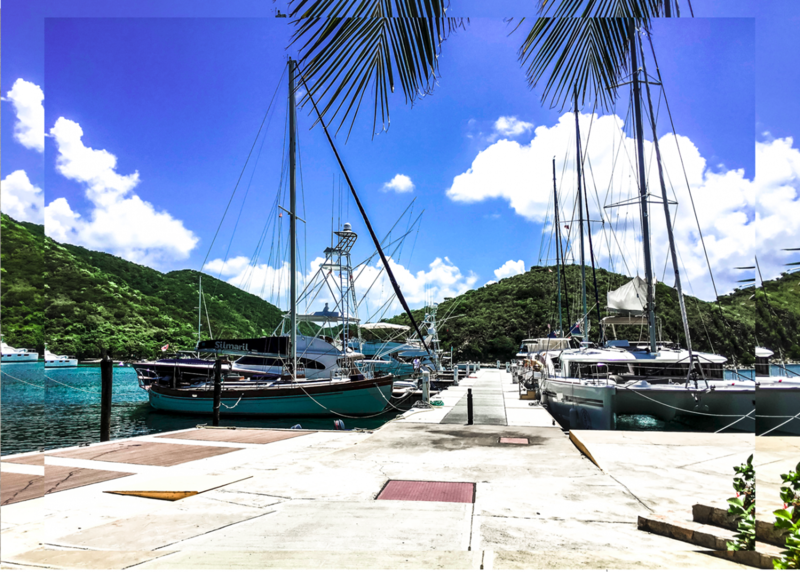 Either charter a boat from St. Thomas or St. John and make sure everything is lined up for the following day. Settle in, enjoy a nice dinner, set your phone alarm so you don’t sleep in, and get some rest for the next day. 10 A.M. Board boat and go over your desired itinerary with the captain. We ended up driving across the whole island and didn’t really like it so checking in at customs is enough IMO. 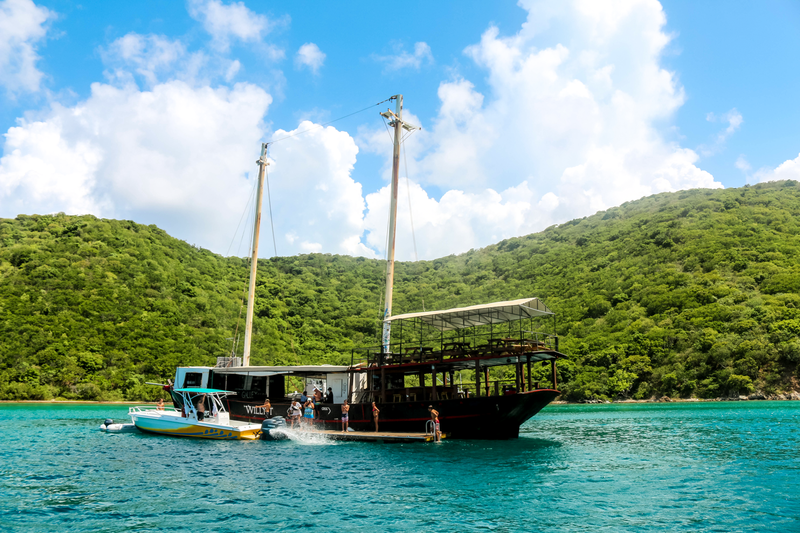 1 P.M. Norman Island – just cruise by to see Willy T’s pirate ship. 5:30 P.M. 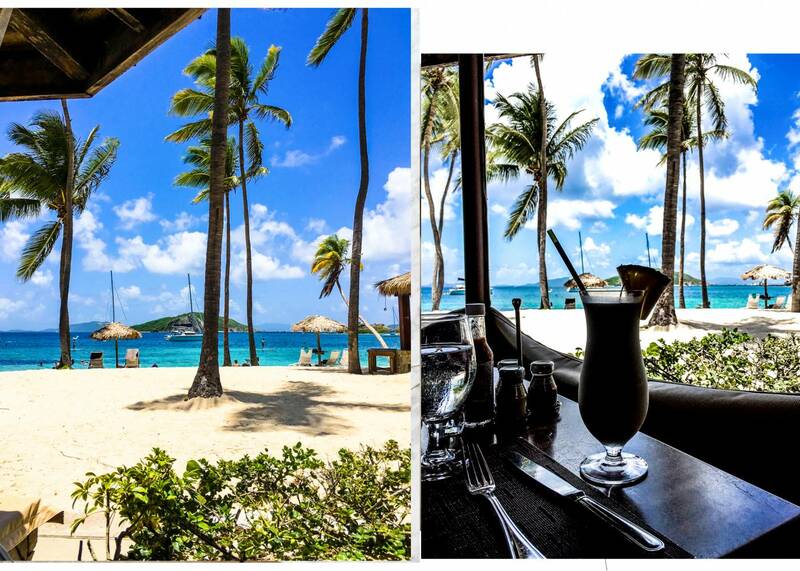 Arrive back at St. John or St. Thomas for dinner. If you have more time, I suggest either flying or boating over to St. Croix for a day. 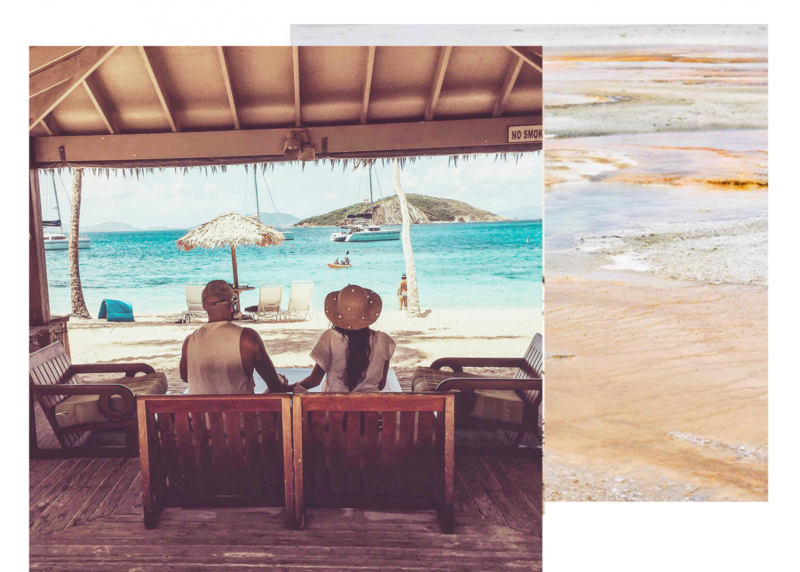 Home to Honeymoon beach – take a quick trip here to see the quiet, pristine beaches. 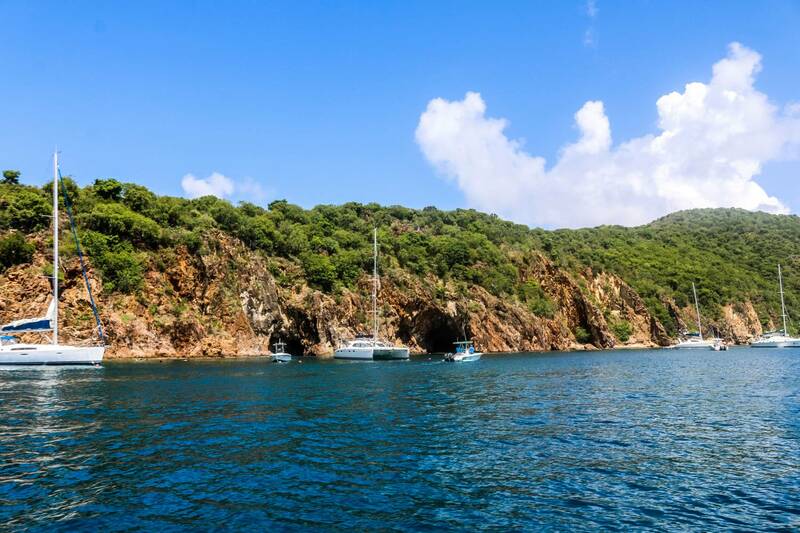 Learn how to sail, snorkel, and scuba dive at the beautiful Scrub Island Resort. 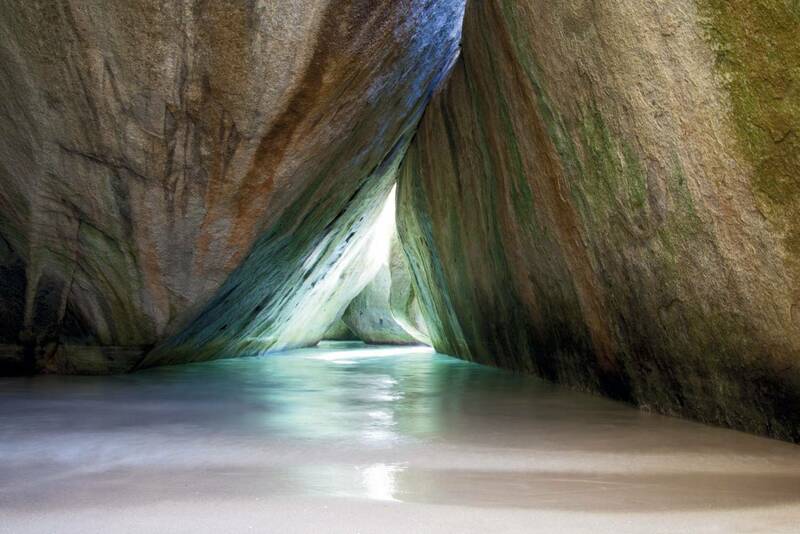 You can take day trips from Scrub Island to Virgin Gorda or Guana Island. The closest airport to Scrub Island is Beef Island airport. 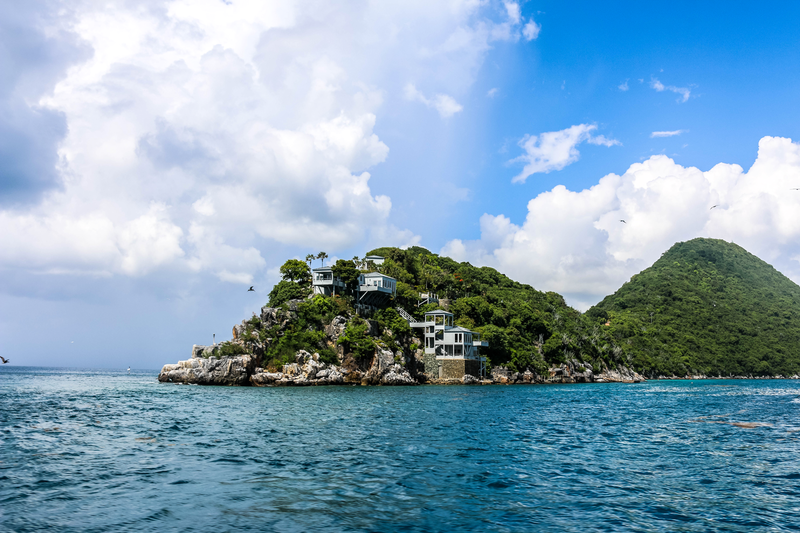 Looking to rent an island for 32 people? You can for about $25,000 per night, depending on the season, at Guana Island Resort. Just north of Virgin Gorda, Necker Island is a 74 acre island owned by legend Sir Richard Branson. The whole island operates as a resort and can accommodate up to 34 guests. Oil Nut Bay is definitely one of the most difficult islands to get to. I’m not convinced it’s worth the trip because it lacks culture. However, if you are searching for extreme seclusion and privacy – then you might enjoy Oil Nut Bay. 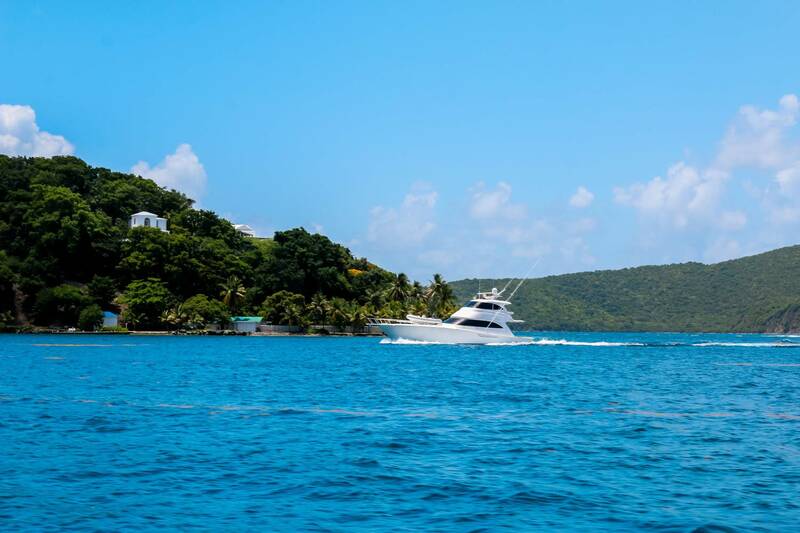 To arrive here, you have to travel by private boat or helicopter, so if planning on visiting – I suggest staying a week and chartering a boat the whole time if you’d like to have the flexibility and convenience of exploring the other islands. Anegada is a great day trip island. This island is full of culture, home to beautiful white sand beaches, and famous for their Lobster Festival. 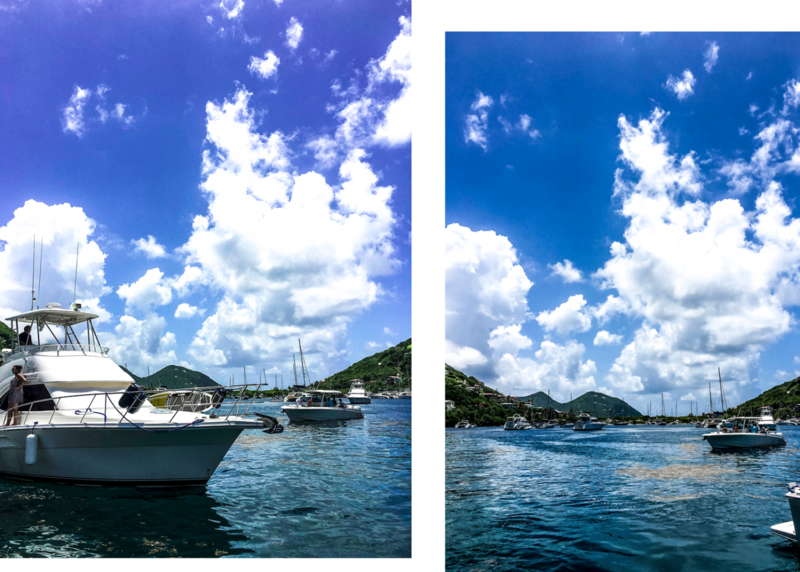 You can take the ferry from Tortola or boat here.